Mr. Matt Buckley, principal of St. Patrick Catholic High School, is proud to announce Lauren Skinner as the Class of 2018 Valedictorian and Richard Springer as the Class of 2018 Salutatorian. Valedictorian Lauren Skinner is the daughter of Larry and Linda Skinner and is a parishioner of St. Alphonsus. 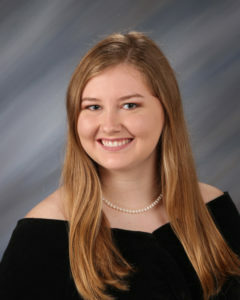 Skinner plans to attend the University of Mississippi and major in biomedical engineering with an emphasis in pre-med. 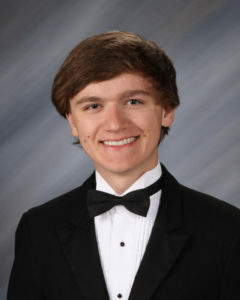 Salutatorian Richard Springer is the son of Rick and Kathy Springer and is a parishioner of Our Lady of Fatima Catholic Church. Springer plans to attend the University of Mississippi and major in mathematics. The St. Patrick Catholic High School 2018 Graduation Liturgy and Presentation of Diplomas will be held on Friday, May 18, at 5 p.m on campus at St. Patrick Catholic High School. Please join us in congratulating all of the outstanding students from the St. Patrick Class of 2018.